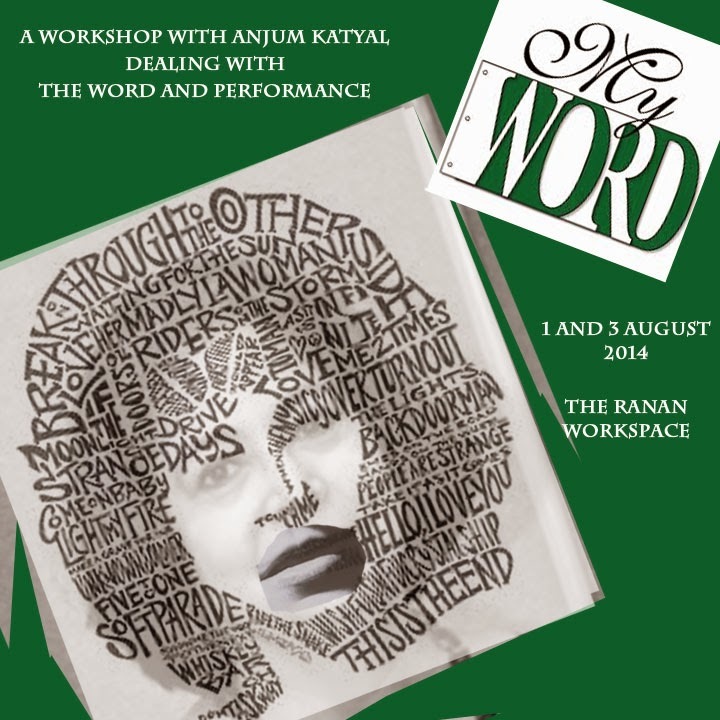 An exploration of the word – as poetry, as lyric, as prose monologue and in other forms – uttered, enacted and performed. With a focus on the emotional connect, the personal relationship between the word and each of us. Anjum Katyal has been Editor, Seagull Theatre Quarterly and Chief Editor, Seagull Books, Calcutta, and Web Editor, Saregama-HMV. She has translated Habib Tanvir’s Charandas Chor and Hirma ki Amar Kahani as well as Usha Ganguli’s Rudali and stories by Mahasweta Devi and Meera Mukherjee. She is the author of Habib Tanvir: Towards an Inclusive Theatre and a forthcoming book on Badal Sircar. 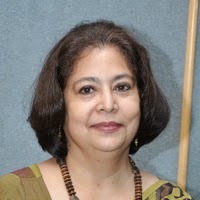 She is Co-Director, Apeejay Kolkata Literary Festival (AKLF), and Consultant, Publications, MAKAIAS. She is a published poet. She also sings the blues and writes on the arts. Anjum asked each participant to bring in a text – prose, poetry, diary entry, letter, anything – which is approximately 5 minutes in length when read aloud. If shorter, bring two. Choose something which means a lot to you, which is personal, which has a link/history/story with regard to you. The world comprises various diversities. Each race has its own language to connect to the rest of the world. But Art is the only language which is perceived by the whole world as one. Onto that I hold, Dance is the one through whom I can connect myself to the world.A little girl who was gifted by the Almighty so well that she couldn’t even stand on her own feet, but dreamt of making a stand among those who touch the sky. Well, that’s me.It was the word ‘Kathak’ that brought me from being a no one to being a someone. It was a time when I was too little to even know the meaning of Kathak. But it was the only petrol which could boost my passion. And above all it was the heavenly blessing that all children are entitled to – my mom, who carried me all the way from that dream to reality. My Gratification might have been delayed but to overcome this long awaited pain, a lovely experience has been gifted by RANAN.I have been thinking for a while why text based workshop is not included in RANAN. We could do so much with texts. RANAN has performers who have years of acting knowledge and they use it in best of their potential. I don’t have such good acting knowledge or background in my resume’. I was creating a wall in front of my hope. But as I was trying to get rid of all the hindrances, surprisingly at this juncture where I was pushing this wall, my long awaited workshop has been announced. This workshop was more like a medicine on my wounds. I am a performer. A performer’s realization about pain is different and sometimes this realization changes everything. This pain changes you from inside, sometimes the kind of person you are. This tide inside you is a different kind of realization, not easy to describe in words, sometimes helps you to embrace a new skin of a character. I desperately needed this experience. With such an attainment of unfathomable knowledge and experience from this workshop and also from others who all have participated was awesome and mesmerizing. This experience is going to be a guiding star for me in my journey. Here, I have learnt to utilize my facial muscles and to project it with my emotions. Other than my facial expressions nothing more was needed, no other body parts were needed to involve, except my eyes, my lips and my eyebrows and with this we have been taught to project our emotions. I sometimes get astonished do I have these things in me? Was it possible for me? Yes it was! My experience and my realization was an obvious proof for that. This is what I have learned. This is what I have always craved for.